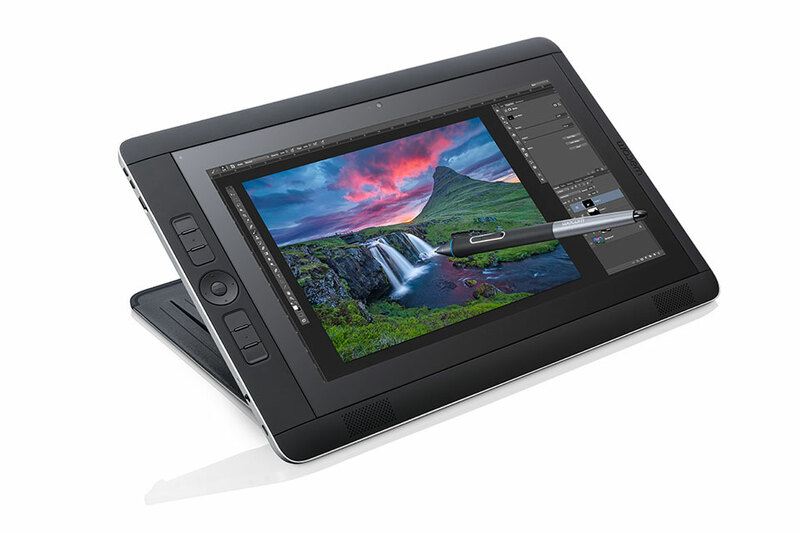 Artec Studio 11 officially supports Wacom Cintiq Companion 2. Please find more information below. We performed some extensive tests with Wacom Cintiq Companion 2 and Artec scanners. Eva: 13-14 FPS, approximately 2200 frames were captured. Spider: 6-7 FPS, approximately 1000 frames were captured. 14 FPS, when you start the session. After 3000 frames are captured (in total), FPS decreases up to 12. After 4500 frames are captured (in total), FPS decreases up to to 7. After 4500 frames are captured (in total), FPS decreases up to 7. 12 FPS, when you start the session. After 500 frames are captured (in total), FPS decreases up to 9 (due to Intel card). After 4500 frames are captured (in total), FPS decreases up to 5 (due to Intel card). Main post-processing algorithms work correctly (align, global registration, sharp fusion, etc). Texture mapping can also work on Intel card in Artec Studio 11. Maximum size of texture atlas available for this card is 4096 x 4096. The tablet performance is excellent and what we especially liked is set of SHIFT/CTRL buttons right on the front panel. These buttons are extremely useful for Editor section in Artec Studio 11 while working with manual tools like Eraser or Defeature.